Durable, versatile, and affordable — the three qualities that make plastic so common in nearly every item we use, and the three biggest reasons why reducing plastic waste can be difficult to do. Indonesian start-up Evoware is working to change all that with bioplastics: a line of fully biodegradable plastics made from seaweed. According to the DailyMail.co.uk, Indonesia is the world’s second largest plastic waste contributor, with the majority of that plastic waste ending up in oceans and rivers. In response, Evoware teamed up with local seaweed farmers to come up bioplastics. 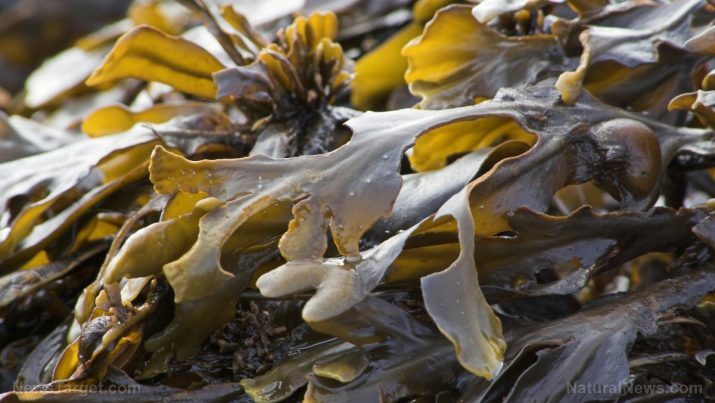 The company chose seaweed because it dissolves in water and leaves behind zero waste, is 100 percent biodegradable and can act as a natural fertilizer for plants, and can be grown with minimal resources. Evoware has even come up with edible-grade bioplastics to replace the plastic packaging being used for food wrappers, as well as coffee and seasoning sachets. In addition to being completely edible and safe to eat, edible-grade bioplastics have been touted as highly nutritious and rich in fiber, vitamins, and minerals. These bioplastics are tasteless, odorless, and can last for as long as two years if kept sealed in their original packaging. They’re also halal, which is highly important in a country that has the largest Muslim population in Asia. More than just creating a feasible solution to the country’s plastic waste problem, Evoware is also helping the seaweed farmers they’re collaborating with. Indonesian seaweed farmers tend to harvest more seaweed than they can sell, leading to a surplus of seaweed that just goes to waste. The long marketing chain, on the other hand, leaves the vast majority of them poor and unable to care for their families’ needs. Evoware is hoping to change that as well and improve the farmers’ and their families’ well-being. Both types of bioplastics can be purchased from the company’s website. The edible-grade food wraps are priced at 2,400 Indonesian Rupiah (18 U.S. cents) per sheet, the coffee sachets at 390 Indonesian Rupiah (three U.S. cents) per sheet, and the dry seasoning sachets at 240 Indonesian Rupiah (two U.S. cents) per sheet. What does plastic do to our environment? Polluting the oceans and seas – Plastics absorb and bioaccumulate toxic chemicals that can leak into the bodies of marine wildlife, significantly compromising their health. The effects of these toxins only worsen when these animals accidentally eat plastic debris after mistaking it for their usual food source. Of course, plastics don’t need to seep chemicals to be deadly; they can injure marine wildife by entangling them, even crippling or drowning them in some cases. Polluting the land – The plastics that fill up landfills interact with the water to create dangerous chemicals that can enter underground reservoirs and degrade the quality of the water. Plus, plastics only add to the amount of land litter already covering the surface of our planet. Polluting the air – Burning plastic seems like a quick and easy solution to getting rid of it. But doing this releases toxins into the air that humans and animals can breath in, causing damage to their respiratory systems. If you’d like to remain updated on Evoware’s activities, or just want to read up on more environmentally-inclined start-ups, simply go to Inventions.news today.